While prevention is the first line of defense, even the best prevention efforts will not stop all invasive species. When a new invasive species reaches an area, we can minimize their impact through early detection and rapid response (EDRR). 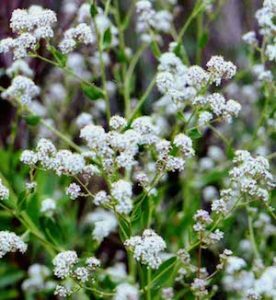 Because these invasive plant populations are small, EDRR increases the likelihood that these new invasions will be halted and even eradicated. The larger the infestation, the greater the costs of eradication – both in money and time. That being said, we strongly encourage you to help us out with early detection and help protect the Wisconsin landscape. A list of plants categorized as prohibited or restricted under Wisconsin Department of Natural Resources NR 40 is available here. Use this WI DNRs Invasive Plant Report form for early detection species. Instructions for completing the form are available here. REWARD: IPAW sponsors a bounty to individuals reporting prohibited plant species found in Wisconsin. The bounty is a rewards program designed to encourage and provide an incentive for individuals to look for and report prohibited invasive plants (as listed in the full version of WI DNR NR 40). Click here to learn more.